The pulls have never been used, but the store tags are gone, so Google's rules state I must list them as a used item. When purchased, they were all in their original store bag. 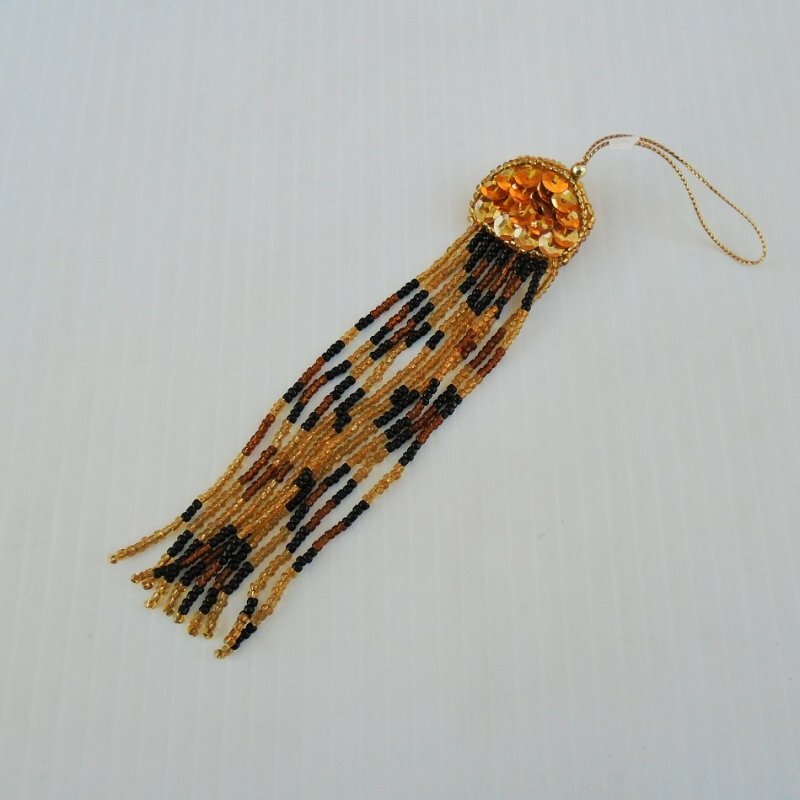 It consists of gold colored sequins with black and gold seed beads. The body is 5.5 inches and the hang loop is 2.5 inches, for a total length of 8 inches.